This topic contains 7 replies, has 2 voices, and was last updated by Moose 1 year, 8 months ago. Sorry, Mac. Although I’m fascinated with the twin coach, I’ve never seen any documentation for it. I’d love to see some pictures of yours! I will try and find some photos and post them up here for you to see. Moose here are a few pictures of the coach in question. Any help on identification or help on figuring out a fair asking price for it will be helpful. how do i post pictures on here?? Sorry Mac, the only way to post photos here is a little round about. If you mouse over your user name on the top right, you’ll see a drop down menu. On the bottom of the menu is “Media” and under that you can add a photo album or individual photos. Once there you can link to them using the “img” button here in the bulletin board. Moose i got them uploaded to my media gallery under my user profile. 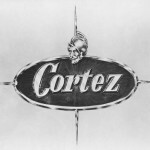 The Cortez hasn’t quite been the collector’s item we owners think it should be. So, There really is no market standard we can look to for pricing. In the end it really comes down to buyer and seller agreeing on a price. I’ve seen twin coach models listed for $10-20k. But that doesn’t do you much good if you cant find a buyer willing to pay that.Clark and Kent models will typically sell for anywhere between free to $12k (Kent’s typically sell for more than Clarks). My suggestion would be to ask a price you’re comfortable with, and see if a buyer materializes.